The Jacob Cousins Memorial on Portland's Eastern Promenade. 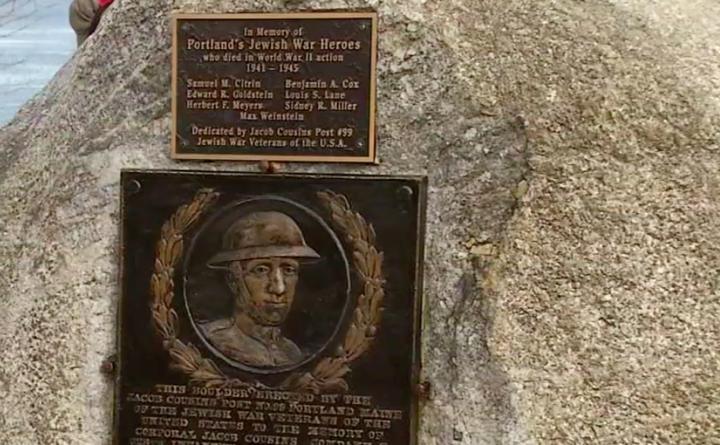 PORTLAND, Maine — Citizens re-dedicated a memorial Friday for the first Jewish soldier from Portland killed in the line of duty in World War I. One hundred years ago, Corp. Jacob Cousins died leading his platoon into battle on the German border. He was awarded the Purple Heart and Silver Star posthumously for his heroism. Friday, a group honored Corporal Cousins, along with seven other Jewish soldiers from Portland who died in World War II. The city of Portland provided $21,000 in capital improvement funds for the memorial project, while the Friends of the Eastern Promenade raised more than $20,000 from individuals, local businesses and foundations.